Utilizing our extremely precise digital printing process, our reflective decals will give your products unrivaled exposure. Even in low light and night time conditions. 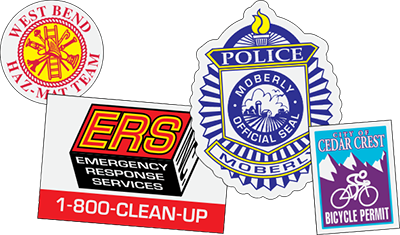 If you have seen emergency or police vehicles at night time, you discover the "glow" these types of stickers create at night when they come in contact with a light source. We can reproduce your artwork down to every detail. We print onto top quality, engineering grade reflective vinyl with a longevity outside for 3+ years. No longer do you need to have to buy decals and ask yourself if they will hold up in your conditions. Our decals will certainly, and we warrant it. Any smooth, somewhat curved surface is perfect for our decals, inside or outside. Our stickers will wrap perfectly around hard hat curves without having any creases. Depending upon the colors in your artwork, your decal will reflect differently. Darkened colors like black will not reflect, while lighter colors will maintain most of the reflective properties of the vinyl. Similar to our other digitally printed products, we can contour cut your decals to any type of shape that you need. This consists of ovals, rectangles, squares or your most creative customized shapes for no extra cost. As with all of our products, when you're prepared to reorder, your art work will certainly be saved and ready for an additional manufacturing run which will be identical to your initial. Fire and Rescue Reflective Decals - Keep workers viewable at all times - our items could be created for hard hats and even much larger as vehicle decals. Rescue and Armed forces Decals- Visibility is the key to safety and our reflective decals add a professional touch and try to keep you protected. 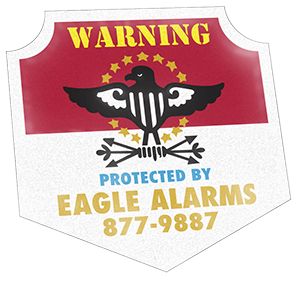 Reflective Product line Labeling - Submit to our company full color artwork to give your custom reflective labeling a full color night time glow. Motorcycle Club Decals - Make everybody recognize that you're riding with during the day and night. Our decals last for 3+ years outside and work terrific on helmets.